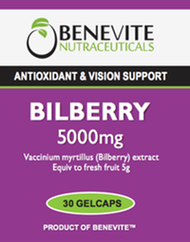 This month’s showcase product is Bilberry - the antioxidant so powerful it assists your vision!! Read more…. 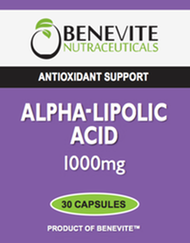 Alpha-lipoic Acid (ALA) is a powerful sulfur-containing antioxidant. It works synergistically with other antioxidants, such as glutathione and Vitamins C and E. Each capsule provides 100 mg of pure crystalline alpha-lipoic acid. Alpha-lipoic acid (ALA) is a powerful antioxidant compound that may help with aging, arthersclerosis, cataracts, cirrhosis, diabetes, radiation, multiple sclerosis, etc. It may be used with any nutritional program. Alpha-lipoic acid is an incredible antioxidant that holds unique free-radical quenching properties. Lipoic acid, in its reduced form in the body, acts as both a fat- and water-soluble antioxidant, supporting Vitamins C and E at the cellular level. More recent studies show alpha-lipoic acid enhances glucose uptake activity. As a dietary supplement, take one capsule daily, preferably with a meal or as directed by a physician.